Indeed, I argued in that blog that a subway train system would be better than a cable car system. Subway trains would be more efficient, benefit local residents and commuters as well as tourists, and would avoid the negative visual impact of cable cars and pylons across Venice’s skyline. The proposal envisages between 20 and 40 trains an hour with each train having three or four carriages and able to transport between 300 and 500 passengers. It is suggested that during peak days the system could transport 150,000 passengers, including 105,000 day-trippers, 30,000 cruise ship passengers 17,400 resident passengers and 2,000 arriving from Venice airport. However, the project has not included financial planning and there are speculations that this plan could take 10 or 15 years to achieve. While we regard this project as positive, more specific details will need to be developed, especially regarding the financial costs. 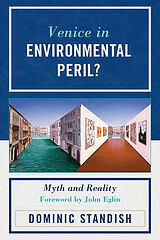 Inevitably, there would be some negative environmental impact, especially during the construction phase and at the beaches on the Lido Island where the cruise ship terminal would be situated. Nevertheless, the long-term environmental and human benefits would significantly outweigh these costs. 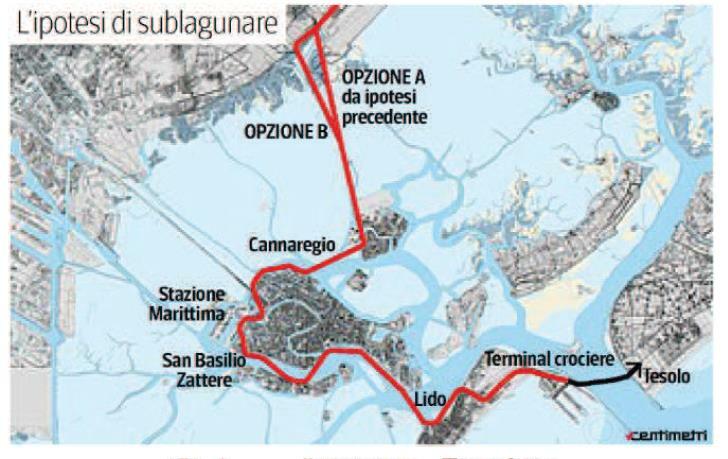 In particular, a subway train system could vastly cut boat traffic throughout the lagoon and reduce pollution and wave damage to Venice’s buildings. Moreover, it would transform living and travelling in Venice, as well as addressing many of the problems with crowds of tourists. ← Would a cable car system for Venice be positive for transporting cruise passengers and others around the city? Another interesting proposal – they’re coming thick and fast at the moment eh?! It would certainly have less visual impact than a cable car so is positive from that point of view. I just can’t imagine Venice with an underground though! And clearly there would need to be careful consideration of whether it could actually be built without impacting the environment, whether natural or built. I look forward to hearing more so as to understand the proposal and form a view! Great post! I agree more details are required, yet the subway would be less visual than the cable cars. Multiple proposals at the moment are due to public pressure to improve Venice, which is positive & we need to keep it up!